Mobile broadband can now be as fast as many home broadband services. But what are your options for mobile internet, and how do you compare them? Broadband Genie will guide you through the techno-jargon and help you choose a great value deal. If you take a look at our comparison table above you’ll see we’ve included a speed estimate for all the packages. This is just an estimate though, as we all know too well these things don’t typically stand up in reality. In 2017 OpenSignal measured an average 4G download speed of 21.7Mb, and 6.18Mb for 3G. It’s fair to assume that you can expect to receive at least a few megabits per second on a typical 3G mobile broadband service, and in excess of 10Mb on 4G, but there is a good chance it could be much faster. You have to remember though that mobile broadband relies on a strong signal and is heavily susceptible to network congestion, so it doesn’t take much for the connectivity to drop right off. It can also be quite variable, especially if you're travelling in a car or train. Which is the fastest mobile broadband network? EE is frequently a winner in speed tests. For instance, in the Ofcom smartphone cities study it had an average speed of 32Mbps, compared to the next fastest of 18Mbps. 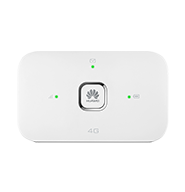 But Three is often close behind, and has a 3G network which uses DC-HSDPA technology to deliver fast mobile internet access that can come close to 4G. But just because these networks often come top of the charts it doesn’t mean you should dismiss Vodafone or O2. The fastest network for you will be the one that has the best coverage in your area. What mobile broadband networks are available in my area? It’s extremely important to check coverage before buying any mobile broadband product. Mobile internet speed is highly dependant on signal strength, and of course if there’s no signal it won’t function at all. Of course, if you already have good signal on a mobile phone you can be confident that mobile broadband from the same network will also work. Should I get 3G or 4G? If speed is your number one priority, go with 4G. Most of the time it is significantly quicker than 3G, and you can still use 3G networks if 4G is unavailable. There’s also very little difference in cost as although up-front fees for the equipment may be slightly higher running costs are the same. Are more expensive dongles faster? The type of dongle can make a difference. There are different types of mobile network standards, with the newer versions supporting higher speeds. However, so long as you buy a new dongle or have one that’s no more than a couple of years old, this should not be a huge concern as the upper speed limits are often a theoretical limit rather than something you’ll experience in practice. The only thing to watch out for is that some older 3G dongles may have a maximum speed of 7.2Mbps, whereas newer models can be much quicker. Some dongles also have better antennas, or allow the antenna to be replaced to improve reception. How can I get faster mobile broadband speeds? Mobile broadband feeling sluggish? Here are some quick tips for improving the speed. Software applications might be consuming a lot of the bandwidth without you noticing. Shut down anything you don’t need right now, and save the big downloads for when you’re on home broadband. Place the dongle on a high shelf or window ledge. If you’ve got a USB dongle a cheap USB extension cable is useful here. If poor signal is an ongoing issue a replacement antenna may help, or you might need to look for a different network. Still using 3G mobile broadband? 4G is widely available now so speak to your network about an upgrade. What should I look for when comparing fast mobile broadband deals? Always check coverage before buying. Use the links to the coverage check tools linked above to see which network offers the best signal. Mobile broadband is available as a SIM-only deal, or as a package with a USB dongle, Wi-Fi dongle, in-car dongle, tablet or iPad. Often there’s no setup fee for a mobile broadband deal, even when it includes hardware. But some tablet deals might have a fairly hefty up-front charge, especially pay-as-you-go packages where you must stump up the entire cost of the hardware in one go. This is the fixed cost of the package which must be paid each month of the contract. In the case of tablet deals this may be fairly high as it includes extra for the hardware, though it does spread the cost of buying an iPad. Unless you exceed the data limit there will be no additional charges. Mobile broadband is available on 1 month, 12 month, 18 month and 24 month contracts. Breaking the contract early will mean paying a penalty. If you don’t want to commit, pay-as-you-go is a flexible alternative, but up-front costs are higher. Unlimited data deals aren't available for mobile dongles so it’s important to choose the right data limit, otherwise you’ll either end up paying for data that’s not being used, or be hit with extra costs for going over. Not sure what you need? Read our guide to mobile broadband data usage for further help.